The amp is stereo efficient, digital amplifier power stage for driving speakers up to 2x30W/8Ω. The high efficiency of the amp allows it to do 2x30W/8Ω without external heat sink. 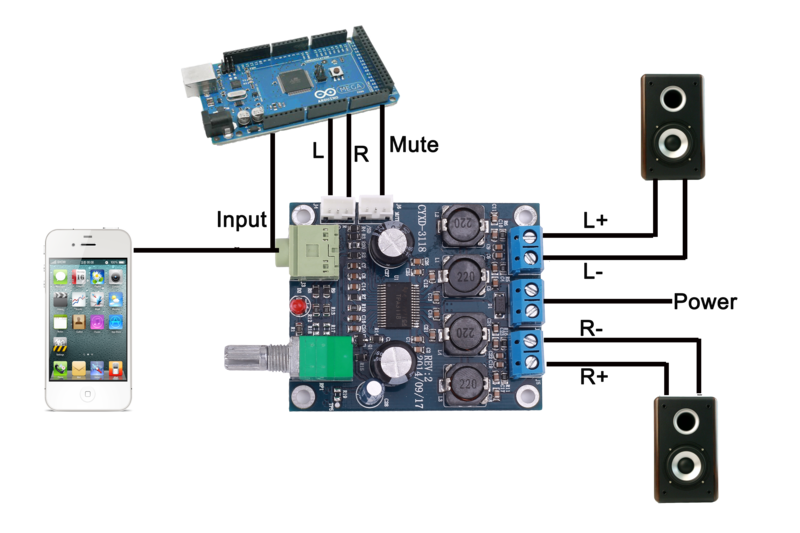 This module has standby and mute function, so Arduino can control it how and when it works.